Moov has launched an updated version of its sports coaching device, with a brand new look and daily activity tracking smarts called Moov Now. The original Moov was a wearable sensor that can be used with a host of sports apps, including running, cycling, swimming and even boxing training. The device hooks up to a smartphone to offer audio coaching, enabling users to embark on technique, interval and open coaching sessions. Moov Now slims down the device and upgrades the strap – two of the biggest shortcomings of the original version. It will also work for six months on a single charge by using a watch-style battery. 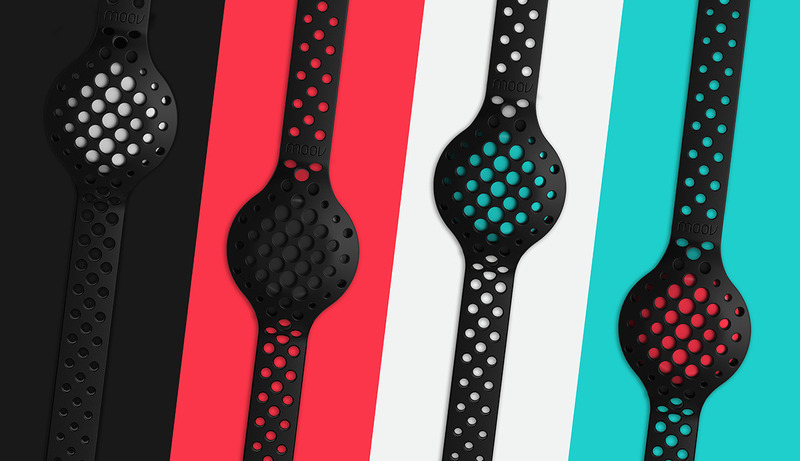 The tracker will also be available in blue, red, white and black colours. Moov has also added new software features, too. Thanks to user feedback the company has added daily activity tracking and sleep monitoring, which is well suited to the new lightweight design. It's also taken on board Wareable's criticism of its cycling training, and you can now track indoor and static cycling workouts as well as GPS sessions out on the road. The original Moov was released last year after a successful crowdfunding round, and it's refreshing to see that Moov Now hasn't reverted back to Kickstarter. At Wareable we're huge fans of Moov, thanks to its versatility for a range of sports. It's one of the finest examples of a smart coaching system that looks beyond stats to offer users real world tips. Moov Now retail for $99 but anyone that pre-orders will get a discount by bagging the tracker for just $59.99.